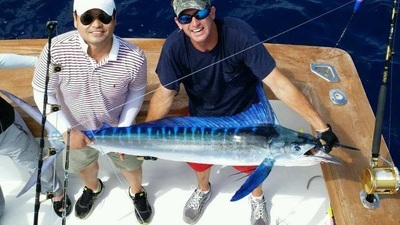 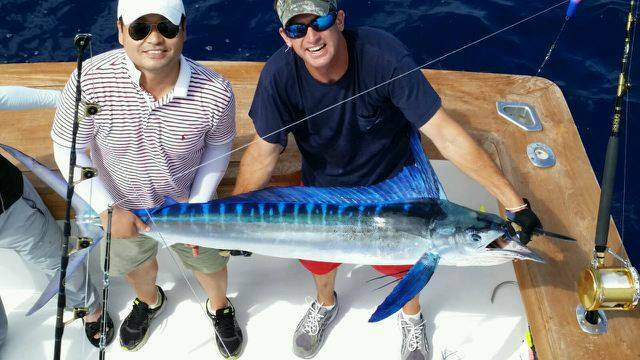 Jason Pleiss and his dad Bill Pleiss managed to get 2 I/2 YF to the boat the half was eaten by Duskys lost another 18 to the $*@$&#*@ ! 1-2 on whites and a 42lb mahi!!! 2-2 on blues with the first give or take 800lbs and 3-4 on the white ones. 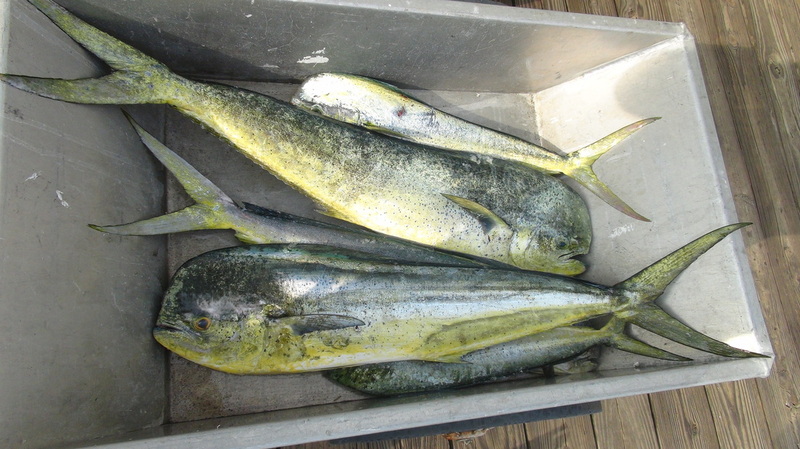 Sent the charter home with a few mahi for dinner as well. 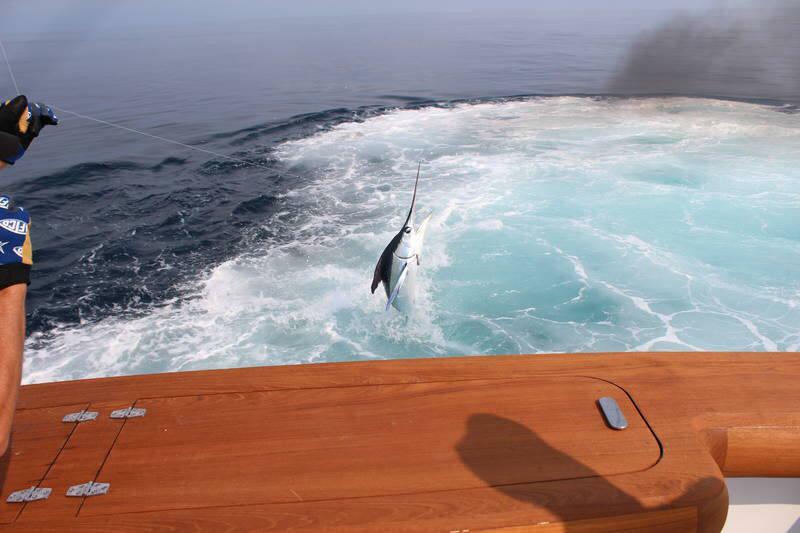 Blue Marlin Vid coming soon! 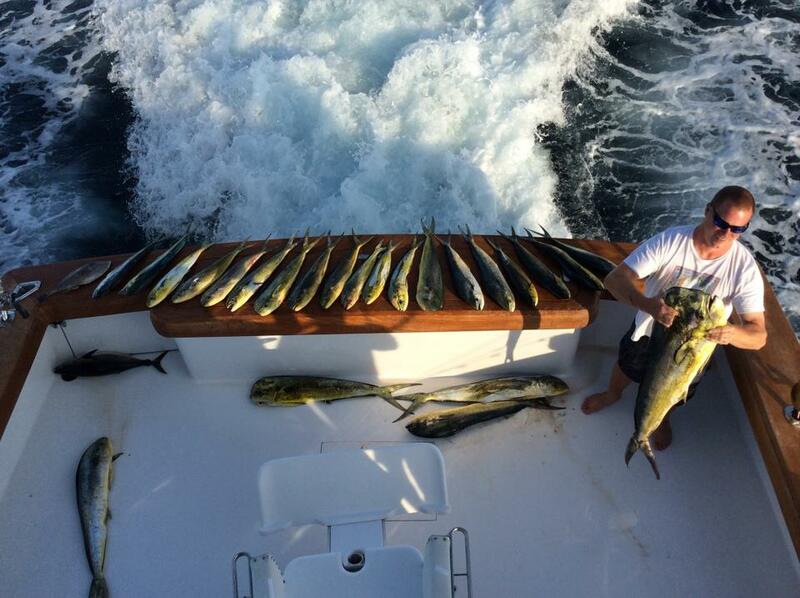 Charter boat, "Moore Bills" found a loose high-flyer in the Poor Man's Canyon and hooked 9 dolphin with the heaviest weighing 41 lbs. 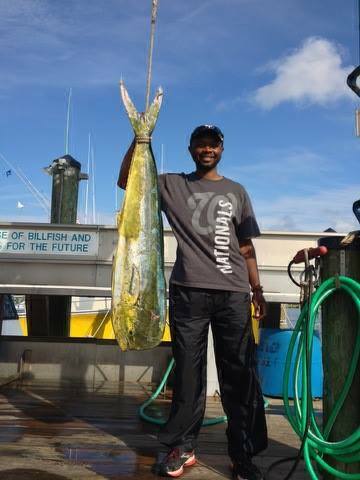 Next heaviest weighed 26.5 lbs. 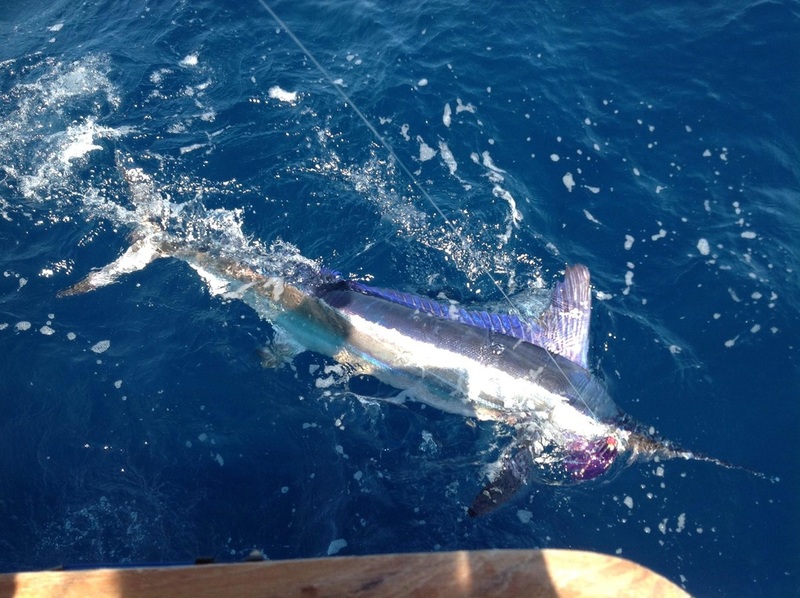 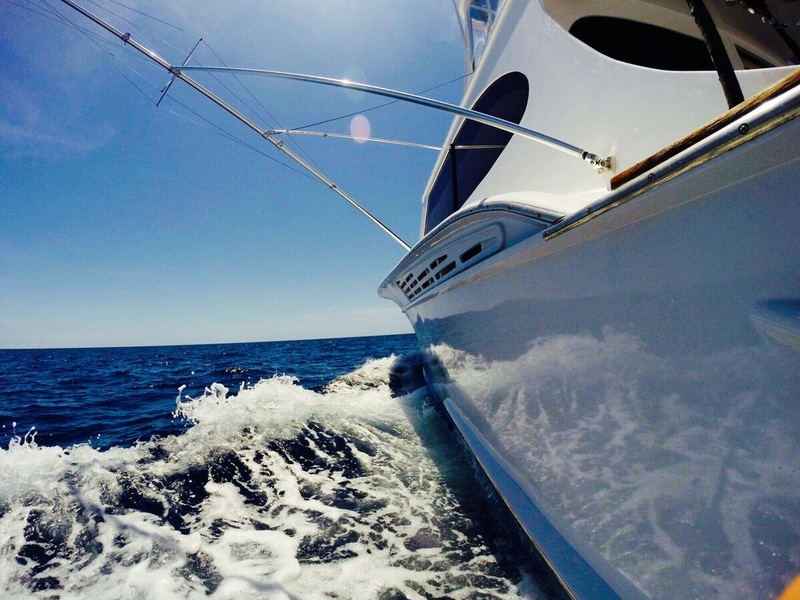 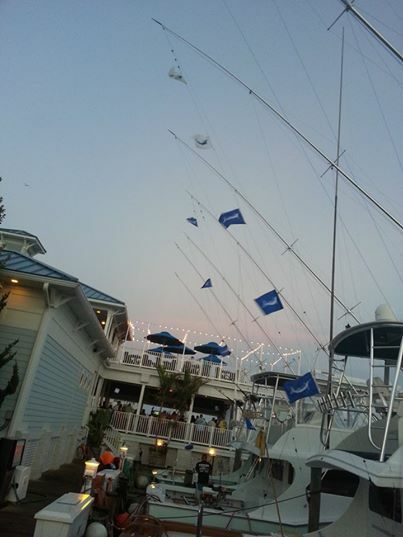 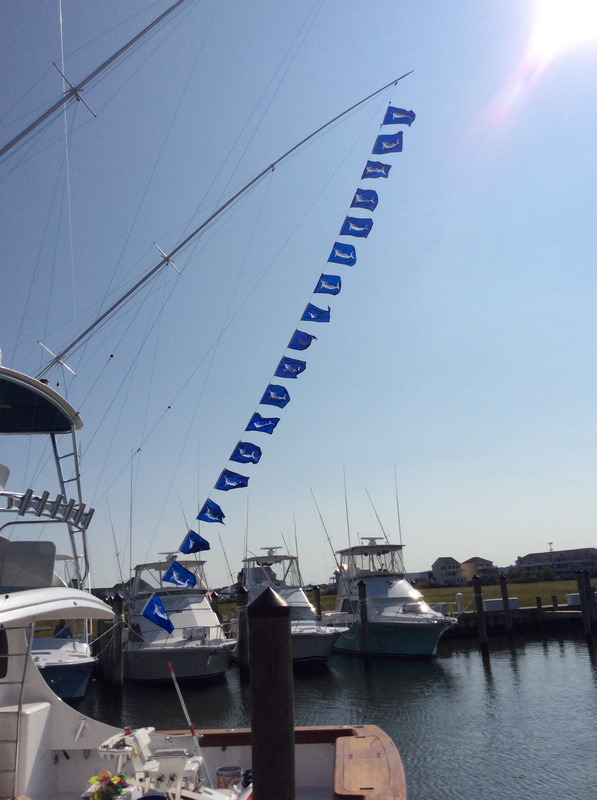 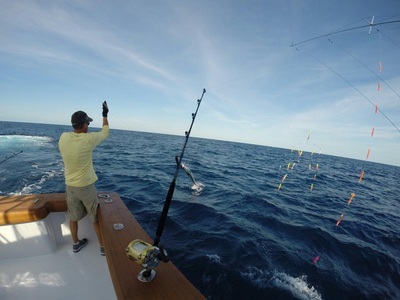 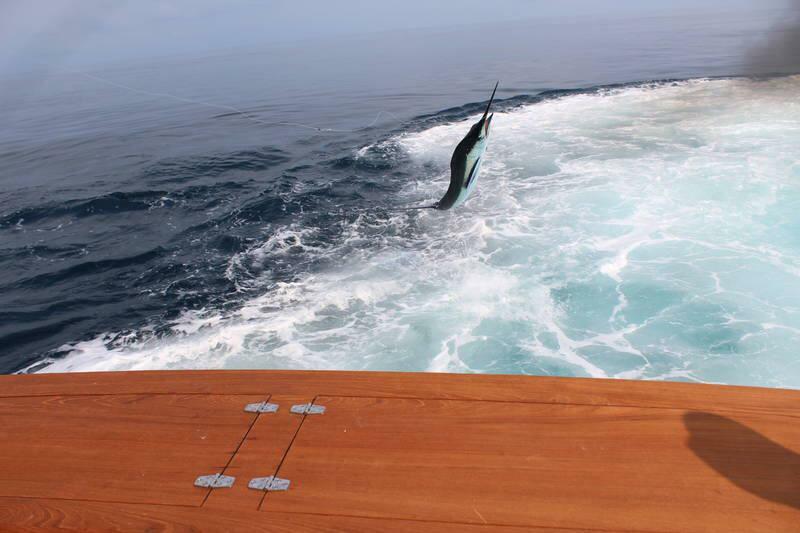 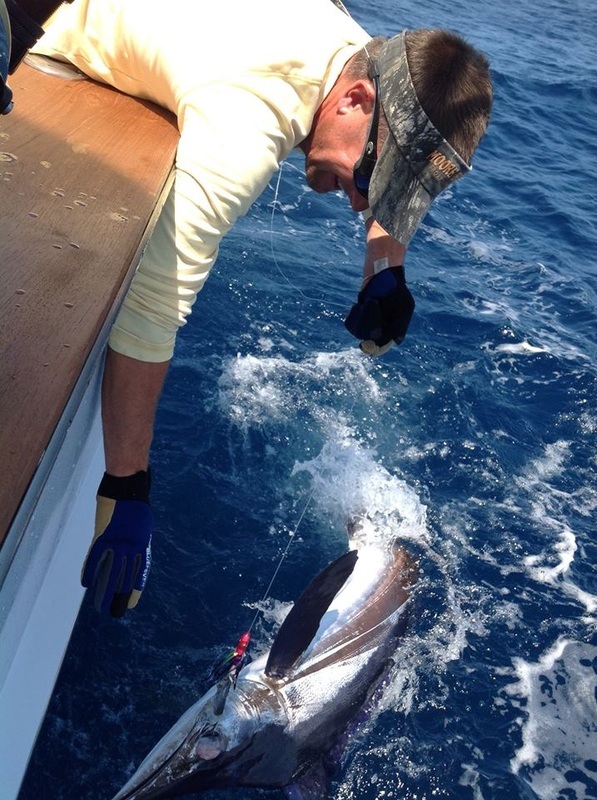 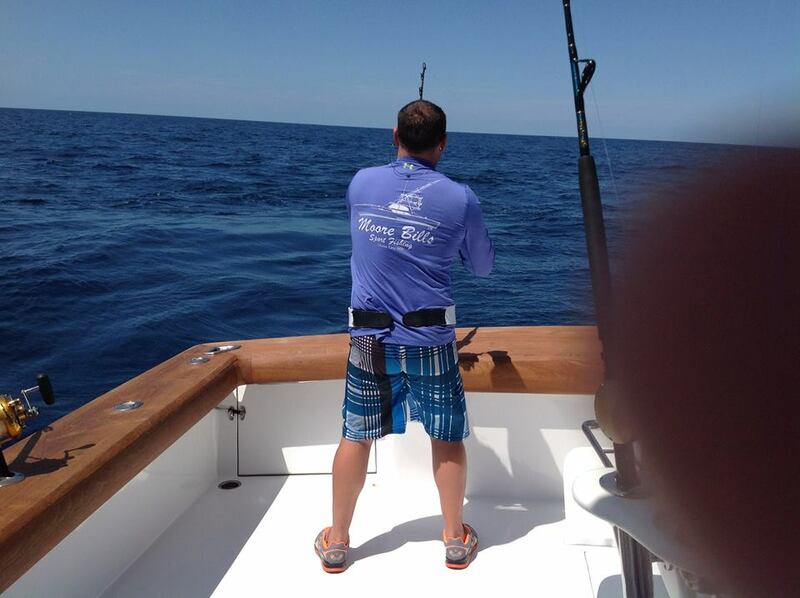 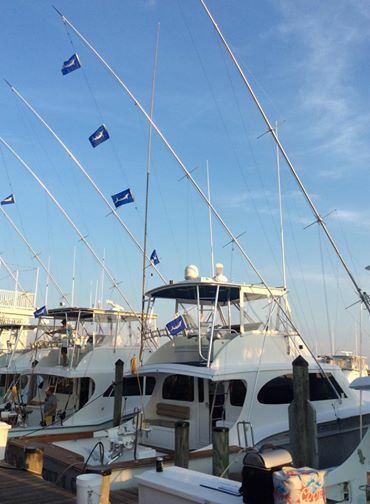 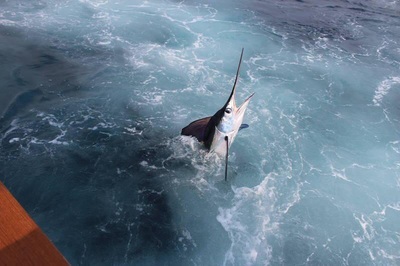 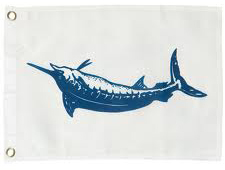 They also had 2 white marlin releases. 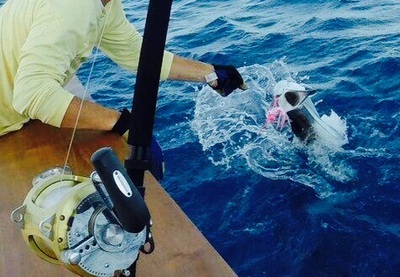 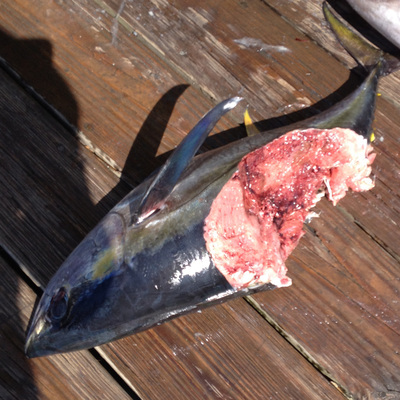 The heaviest dolphin ate a ballyhoo hanging off the outrigger. 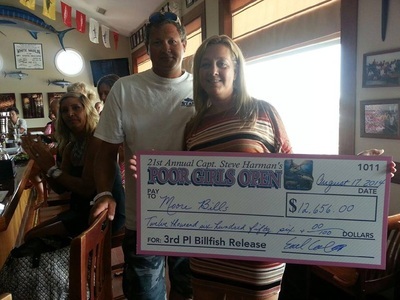 3rd Place Poor Girls Open! 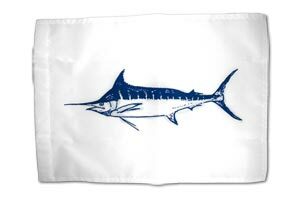 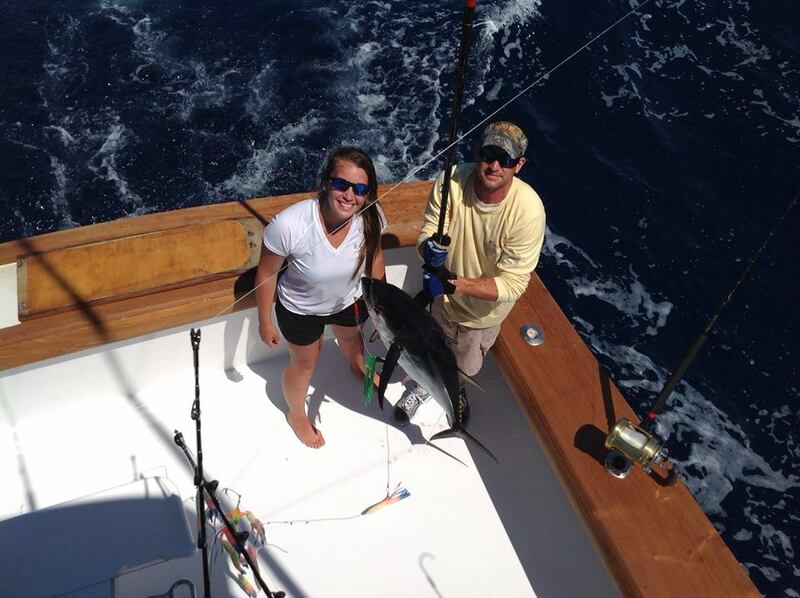 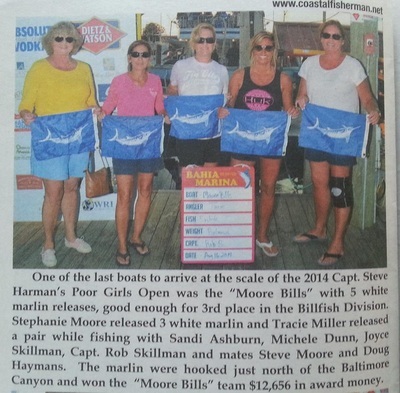 5-5 on White Marlin - Great job ladies!!! 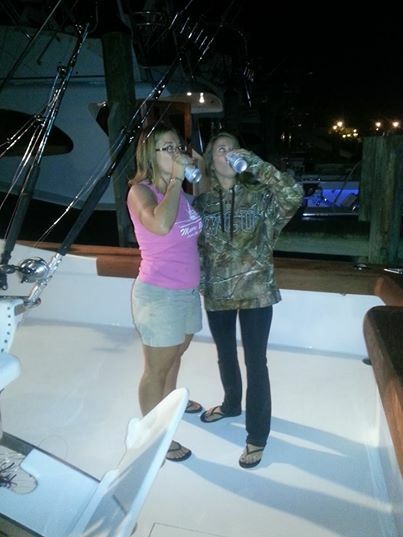 Mother nature strikes with non ladylike weather! 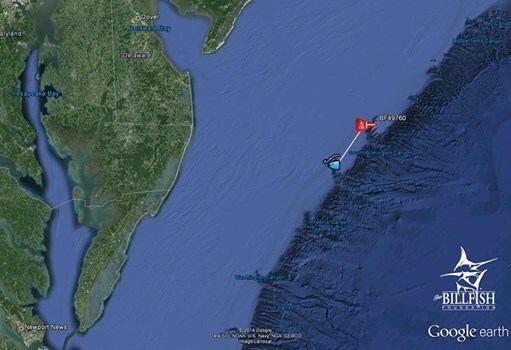 Rolled about 20 miles towards the Norfolk Canyon and made the call to turn back. The lady angles were ready for some action, just not deadliest catch action!!! Next stop Poor Girls Open! 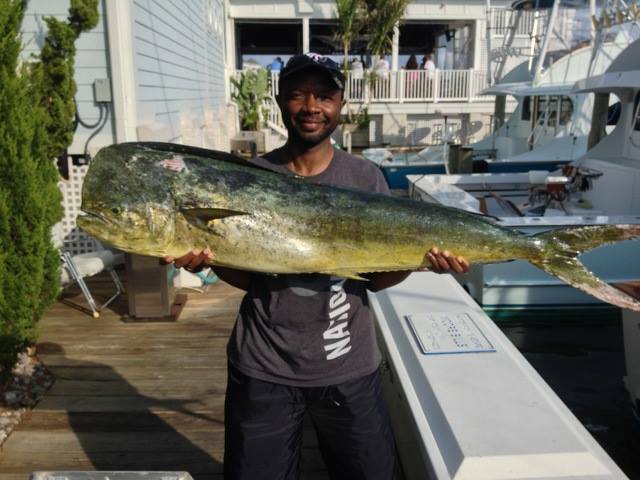 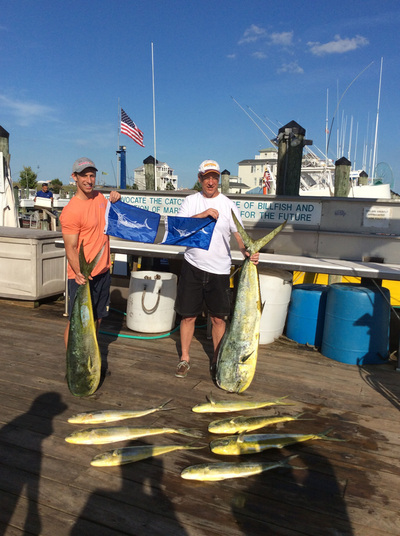 28lb bull dolphin today, one bluefin and 24 Mahi. 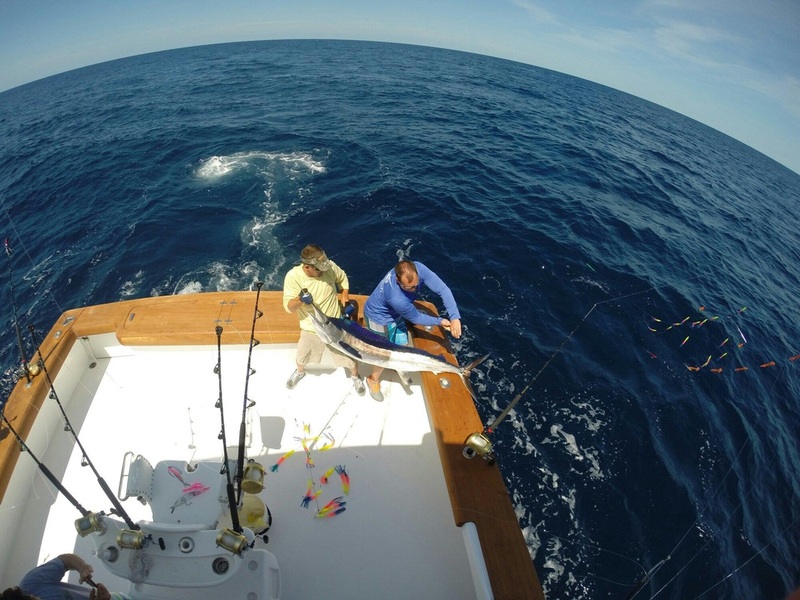 Video Coming This week. Rebounding from a week of bad weather and smaller sized yellow fin tuna, today it picked up a bit boating an 80lb yellow and several other in the box. 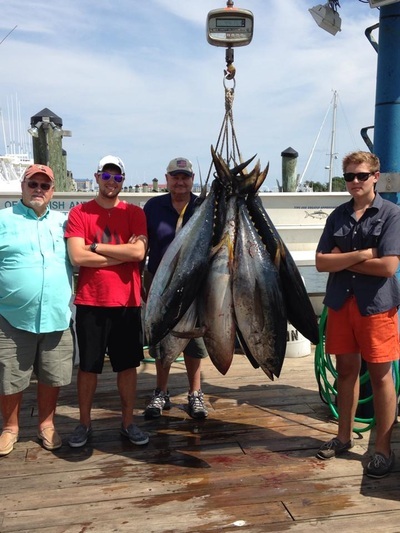 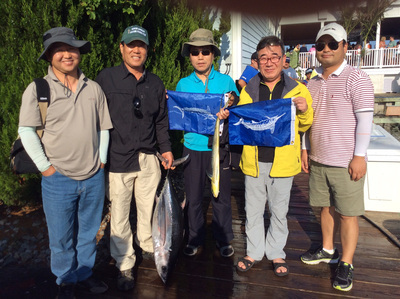 After the curse of the tuna tournament picking off a few but not up to par with the leader, we were a day late and a dollar short filling the box . 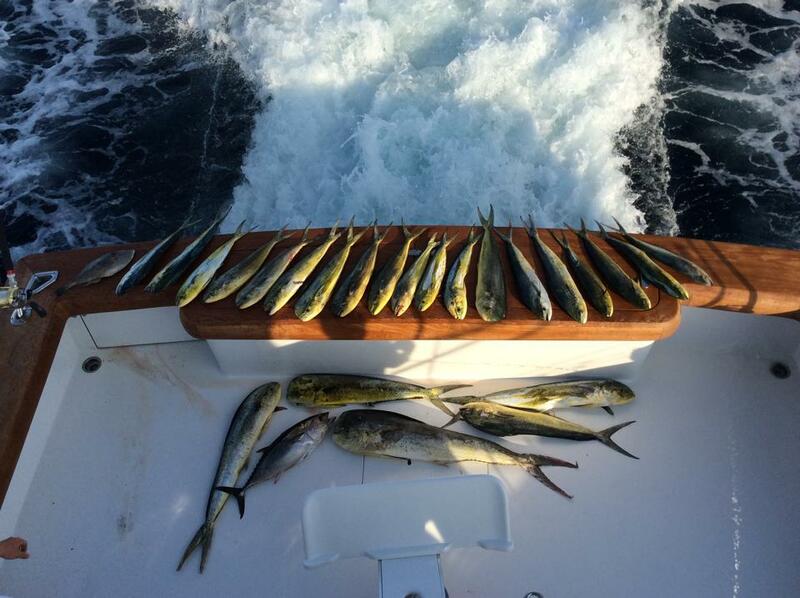 Good day in the Washington!!! 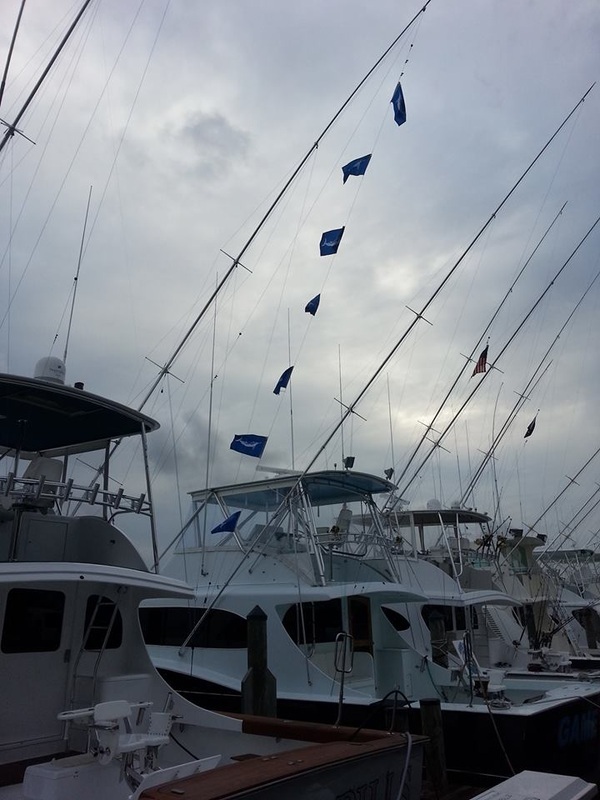 Fingers crossed this weather don't mess things up. Last 2 days..slow fishing but managing a few bites. 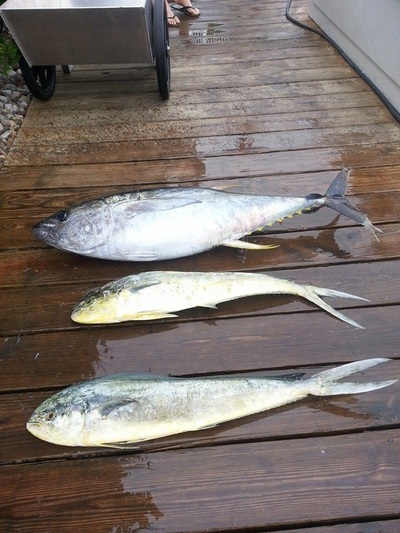 The boats first white of the season and 3 out of 5 yellowfin. 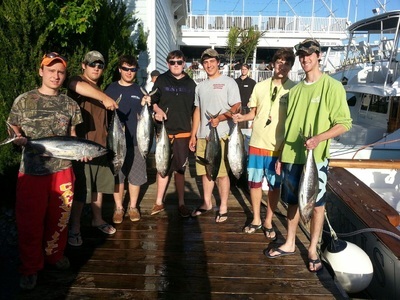 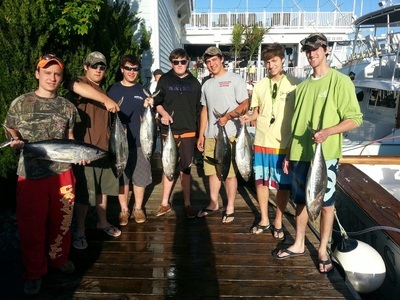 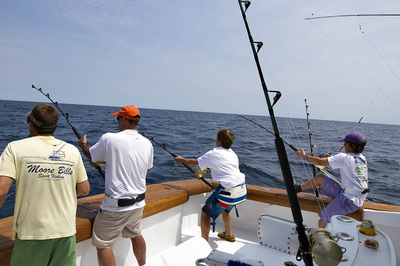 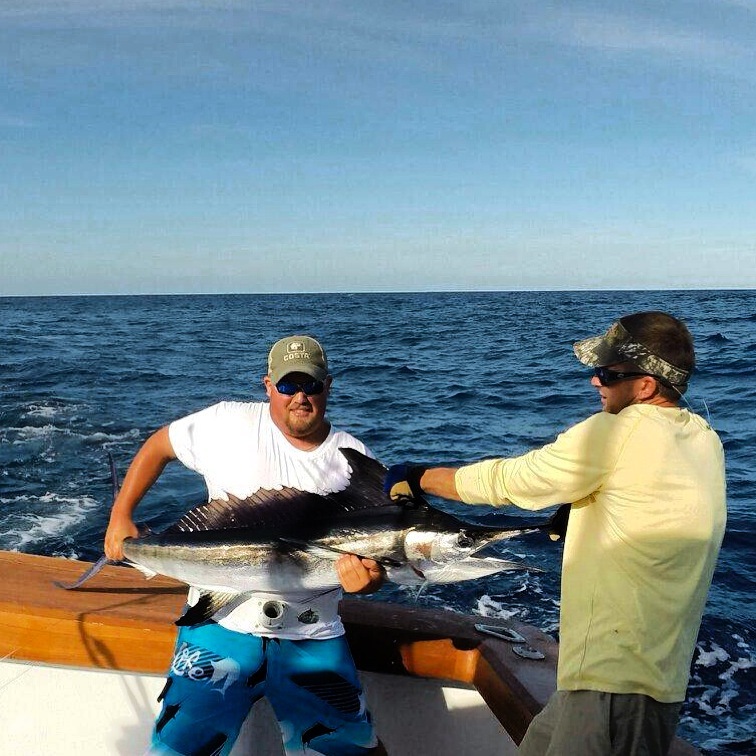 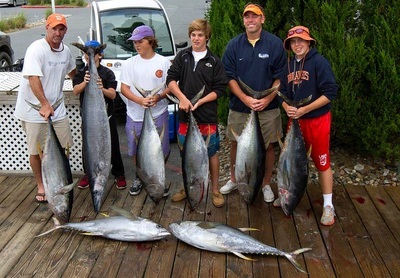 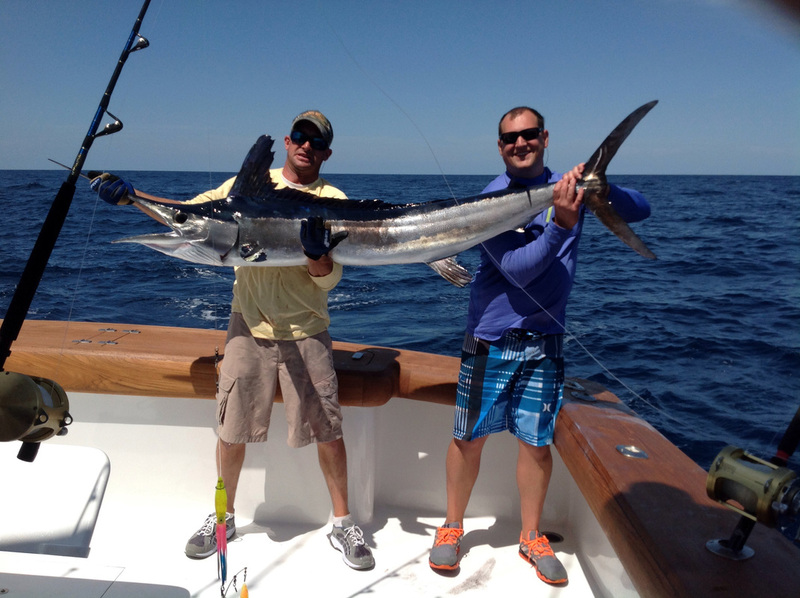 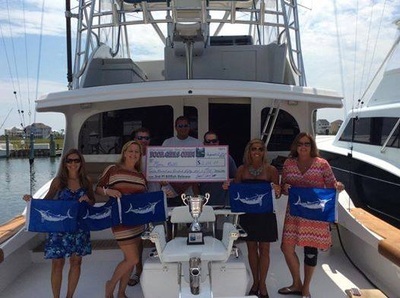 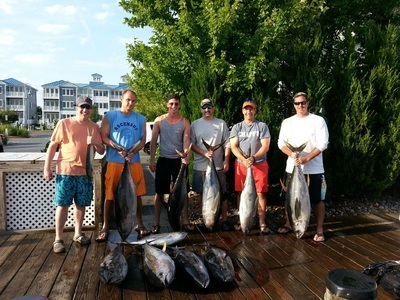 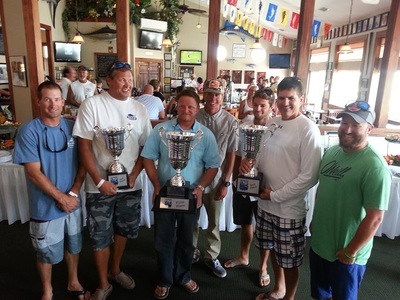 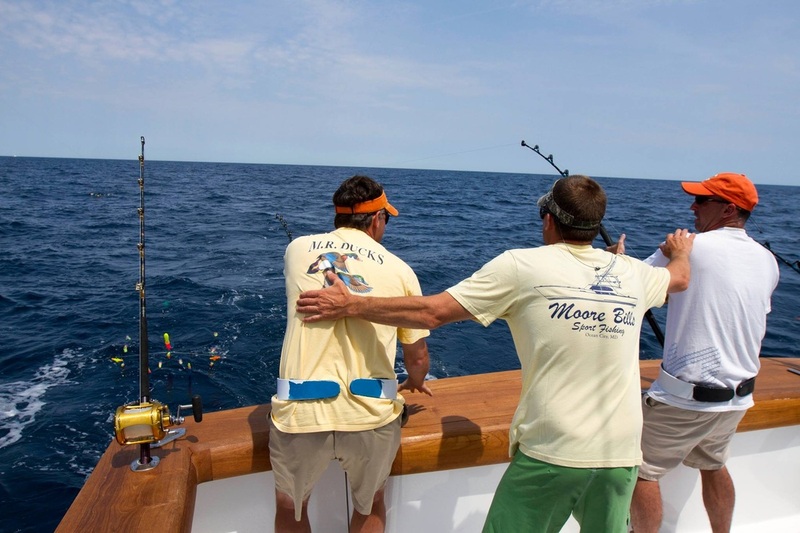 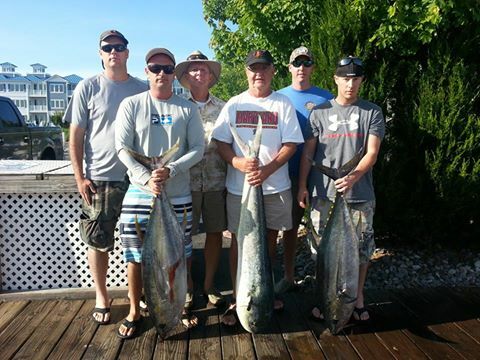 Drew Mank (1st white marlin), Tom Atkinson, Matthew Howser, Devin Bunce all from Jarrettsville, Md. Baltimore canyon "Ultra pro fish handler Drew Mank flawlesley manhandles the first white of the season as Owner Shane Moore tapes via satellite while attending the World Cup in Brazil. A must watch, this award winning footage." 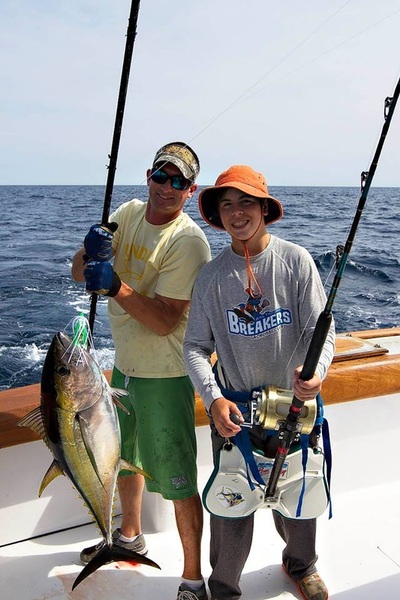 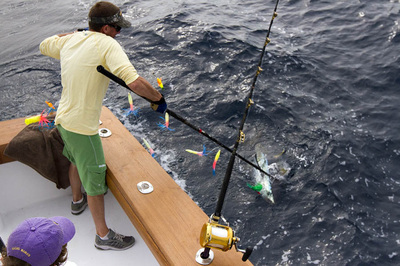 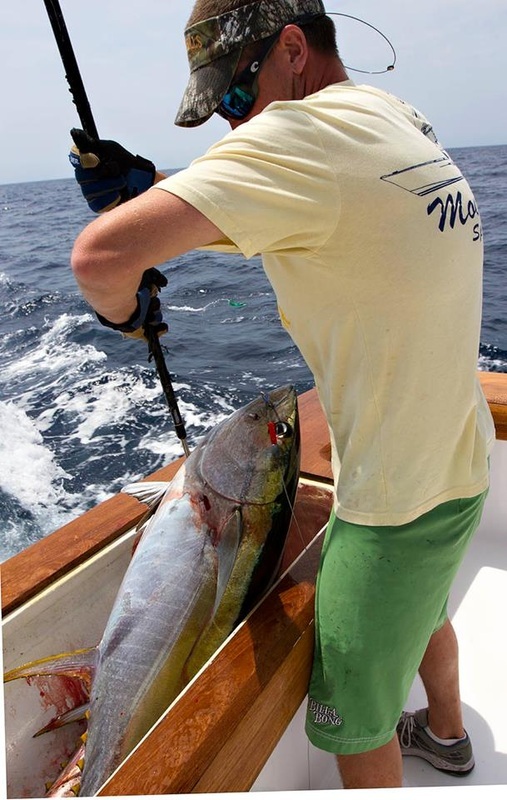 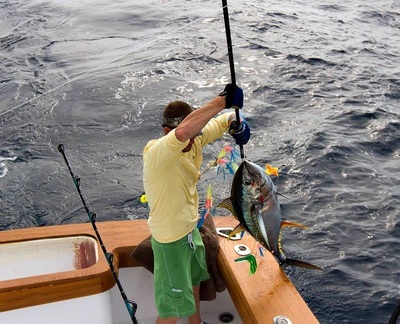 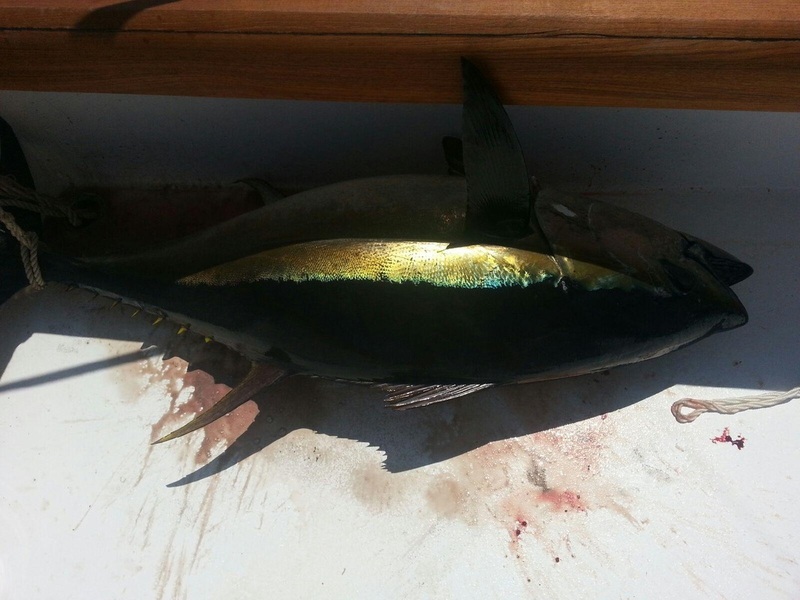 Yellowfin and Mahi Caught between Phoenix Canyon and the Warr Canyon on blue and white seawitch topped with ballyhoo. 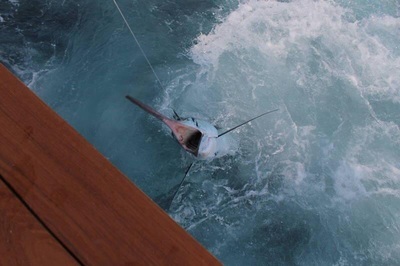 ballyhoo and spreader bars line the deck. A flurry of color makes its way to the spread filling the sky with stripes of mono flaring in the morning sun. 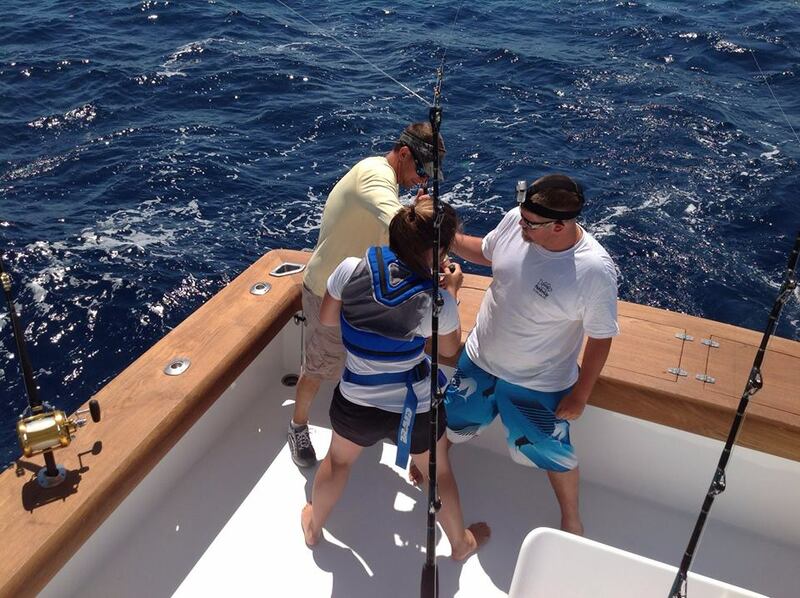 "Fish On !" 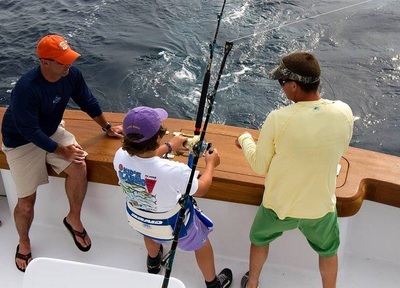 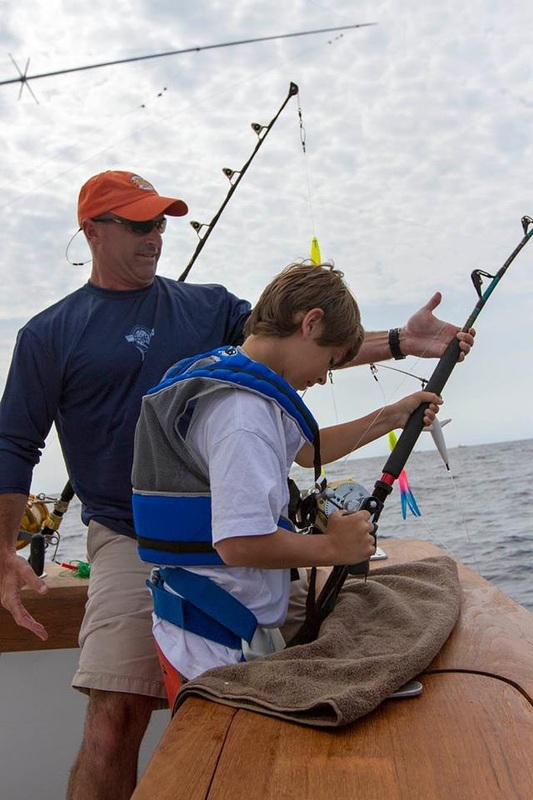 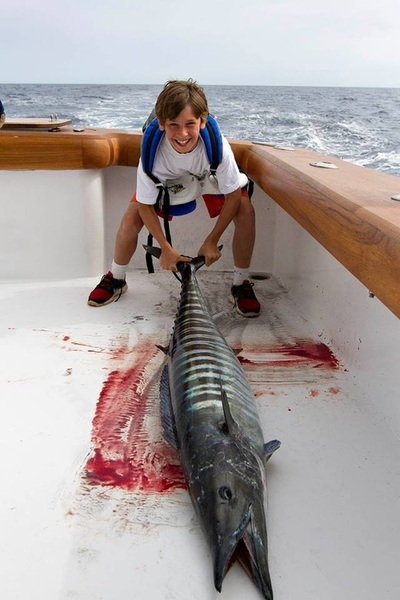 and a scurry to get our youngest angler Cole set up in the fighting chair. 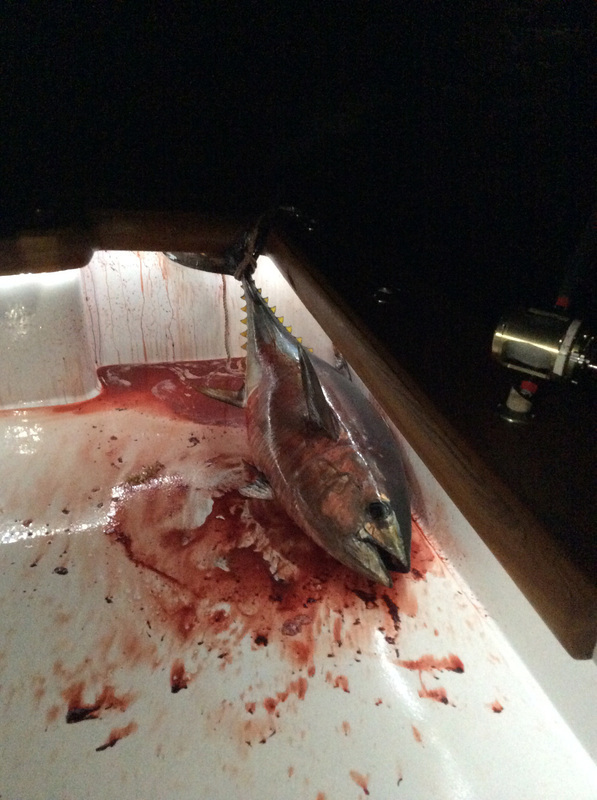 A quick pull knocks the dust off and puts Coles first tuna in the books. 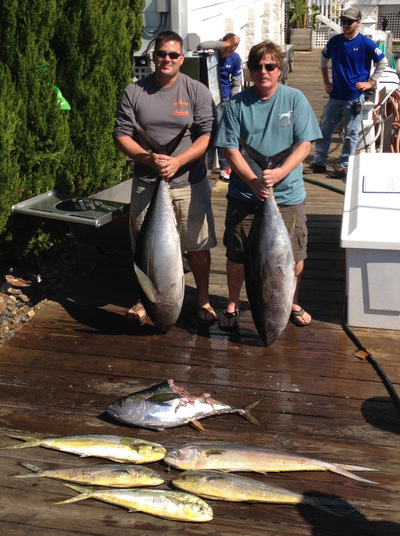 "Fished on the Moore Bills with Rob and Steve today. 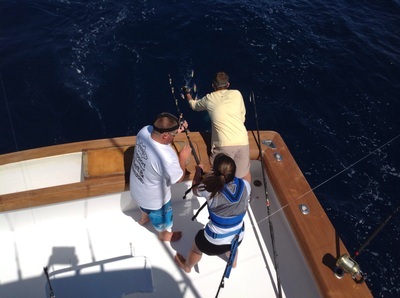 I was able to ride along and shot pics and video and helped out when necessary. Great day catching 7 50lb yellowfin and a 60lb wahoo. 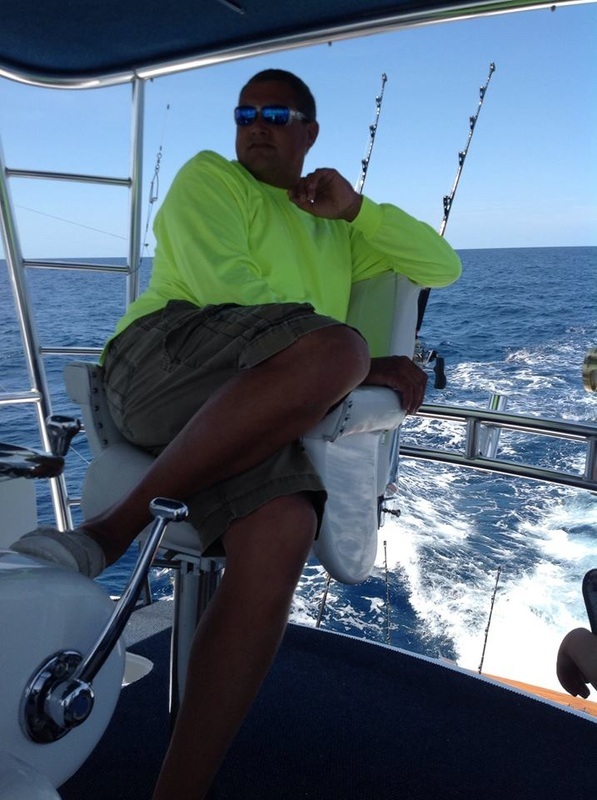 I am placing many of my customers on this boat. 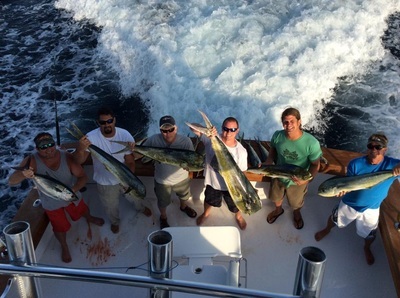 These guys are top notch and I recommend them highly. " 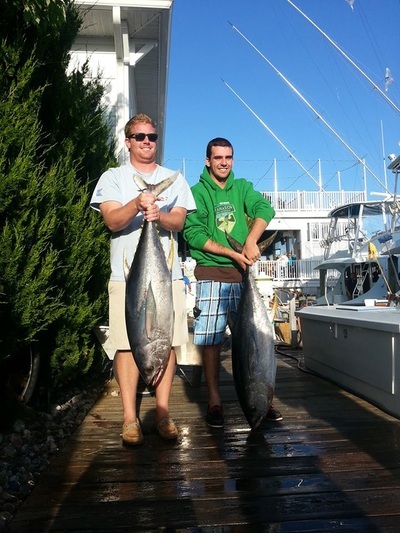 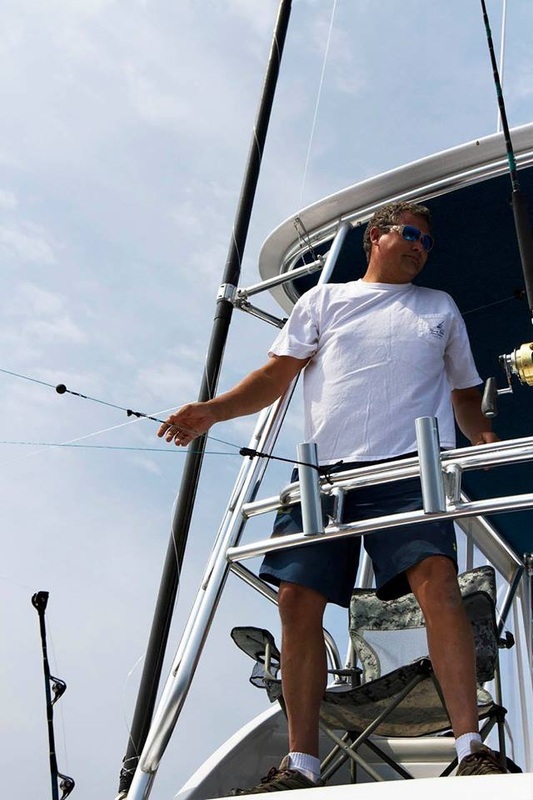 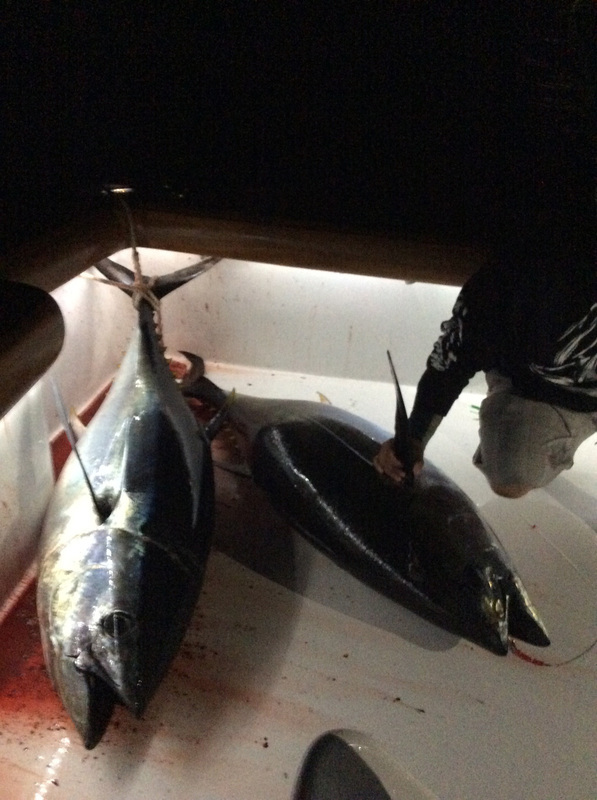 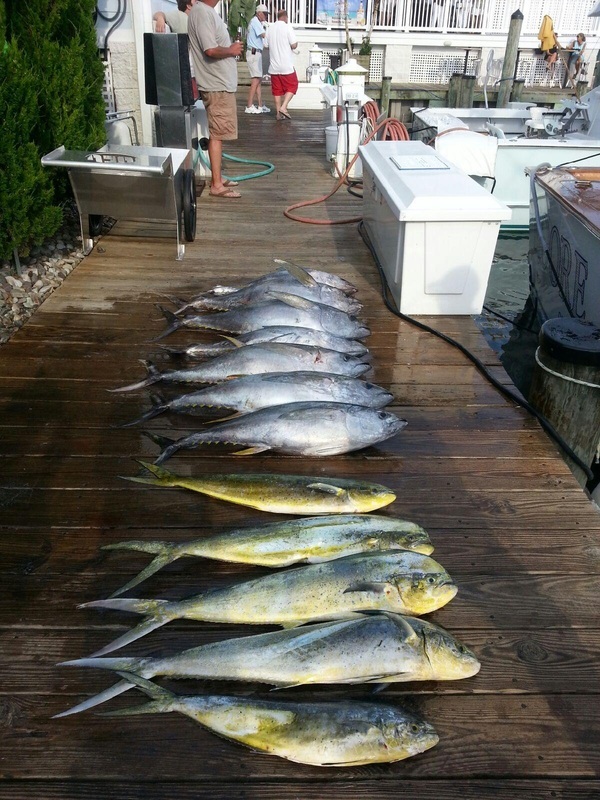 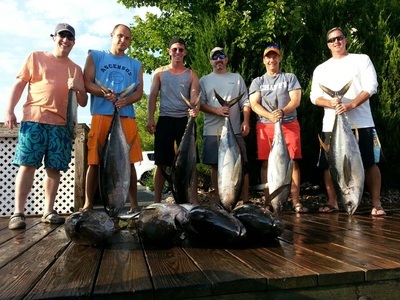 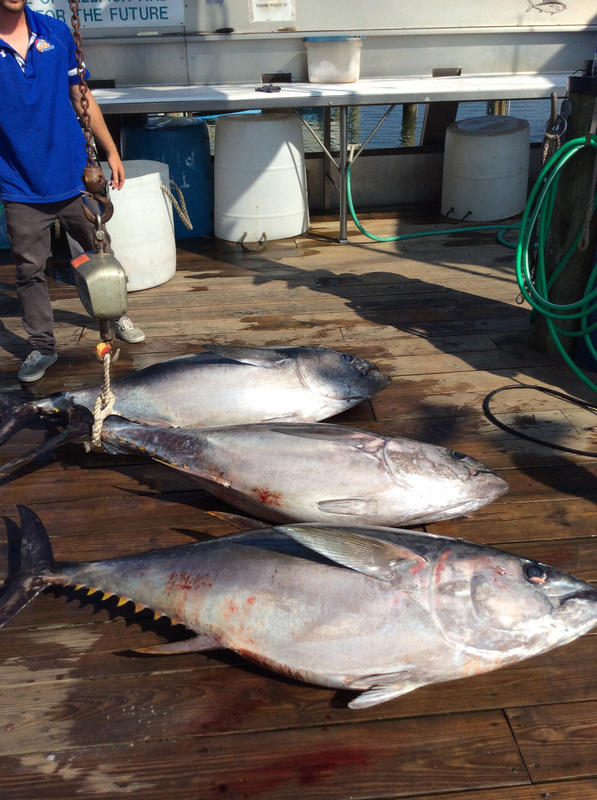 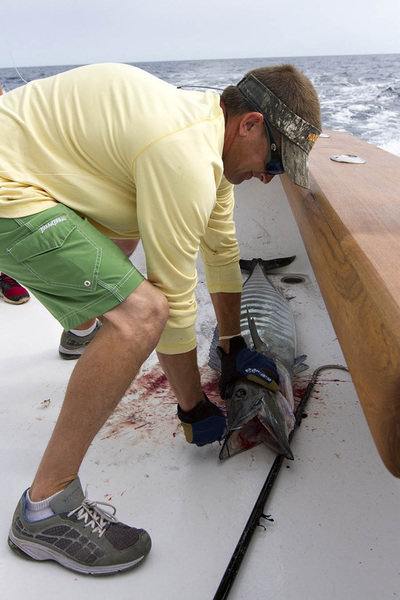 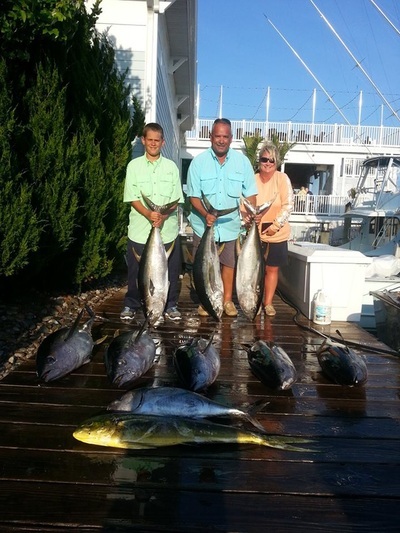 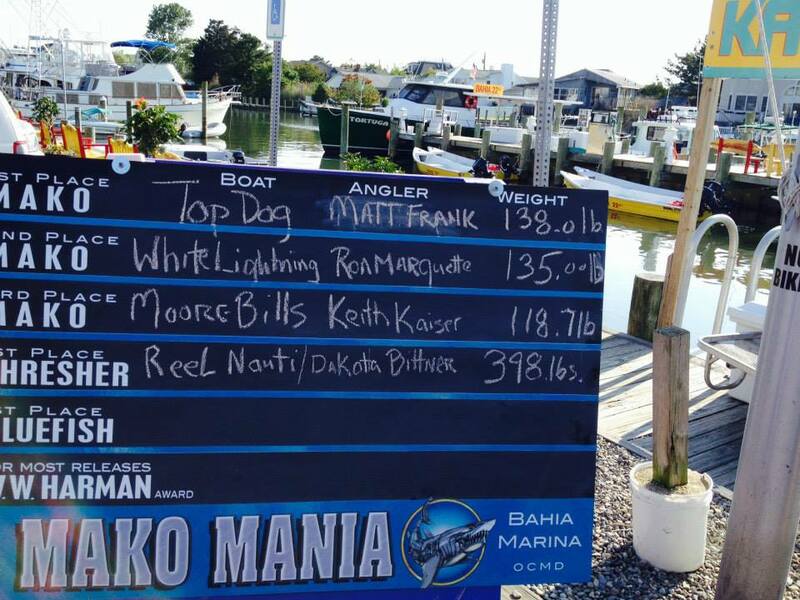 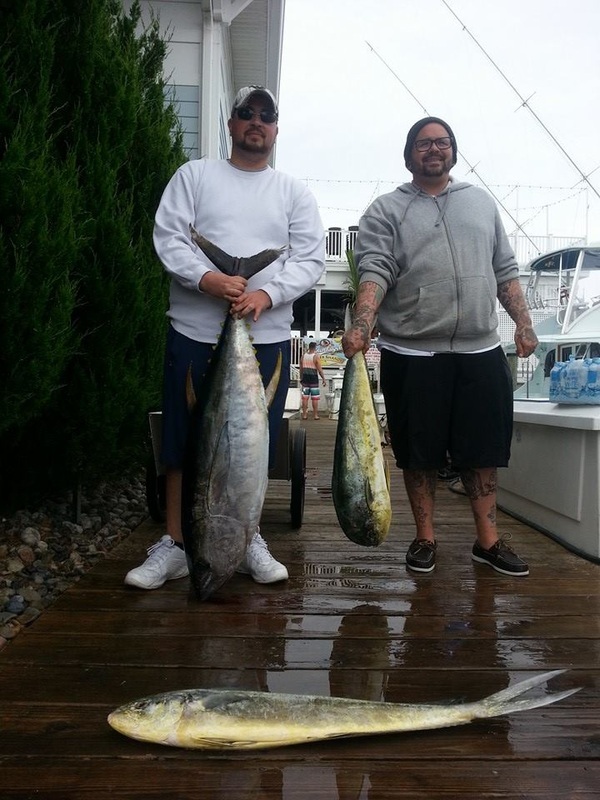 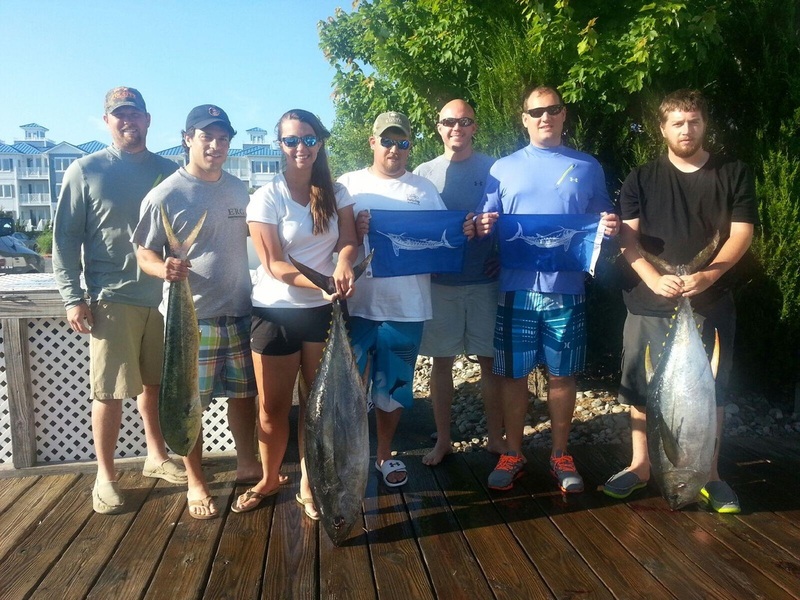 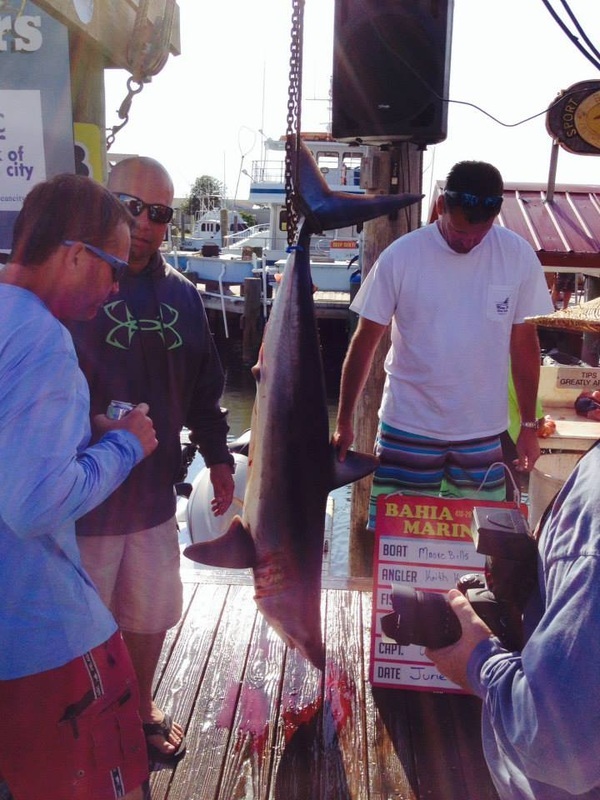 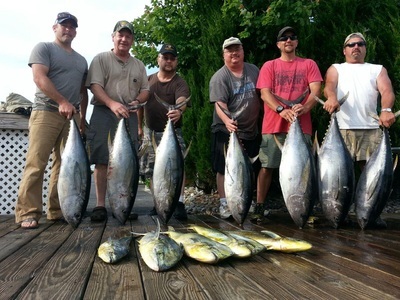 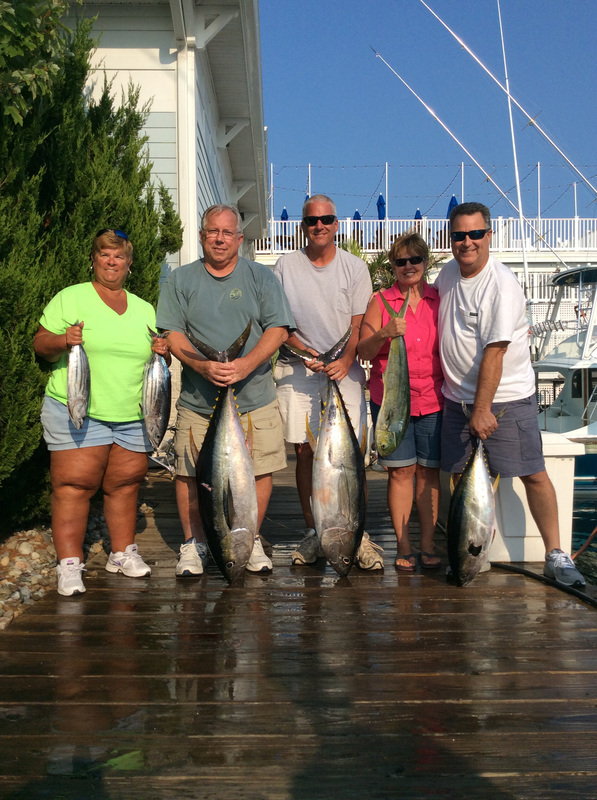 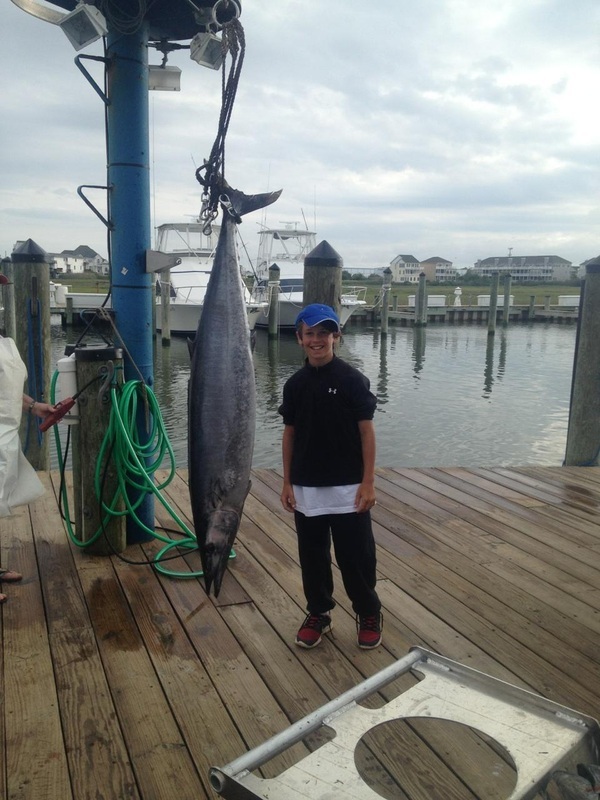 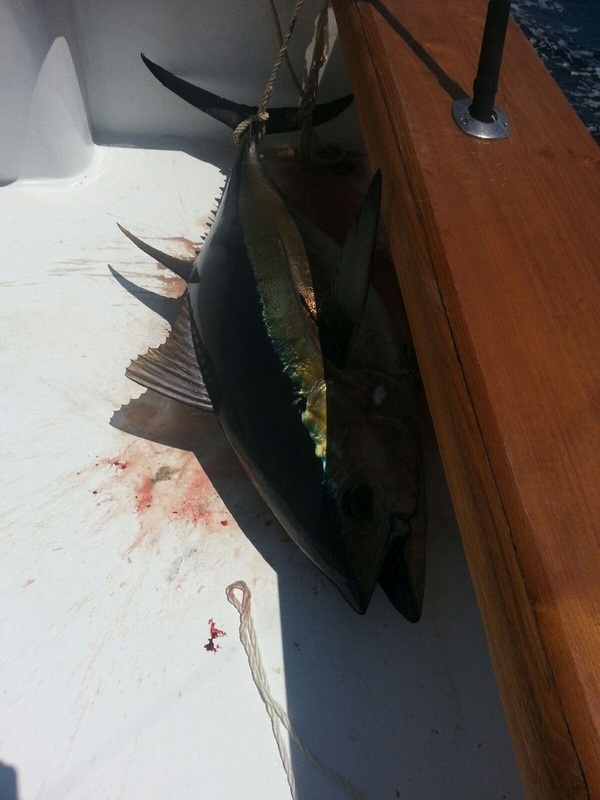 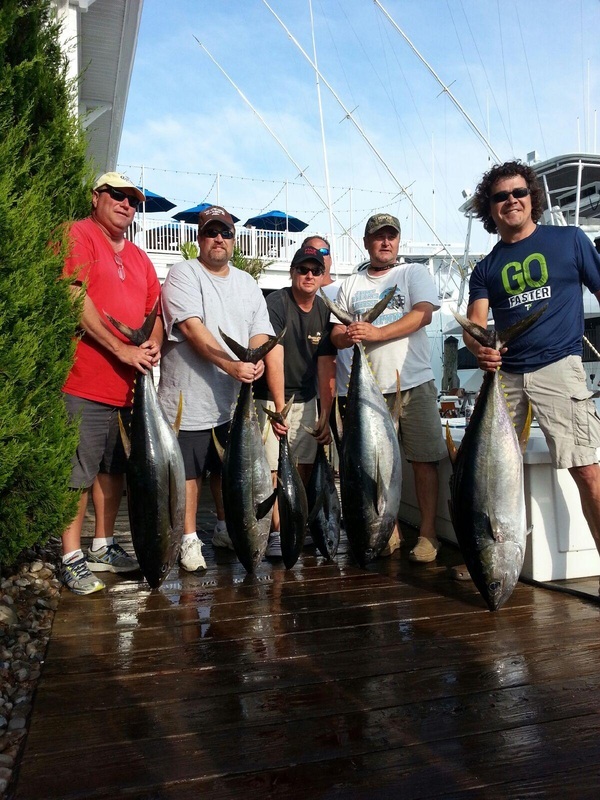 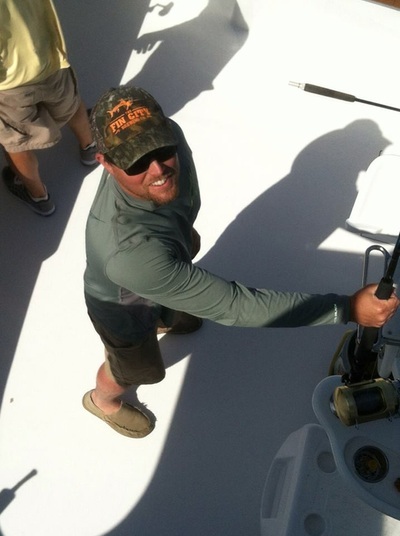 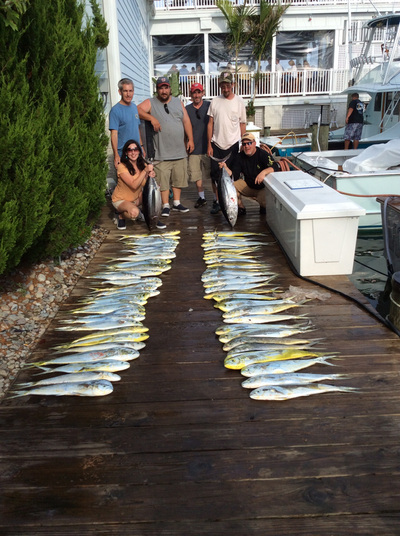 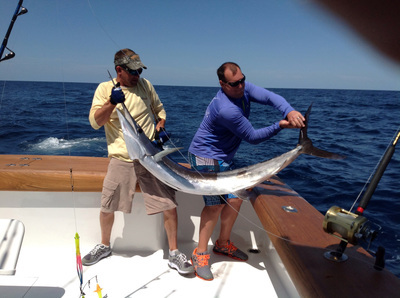 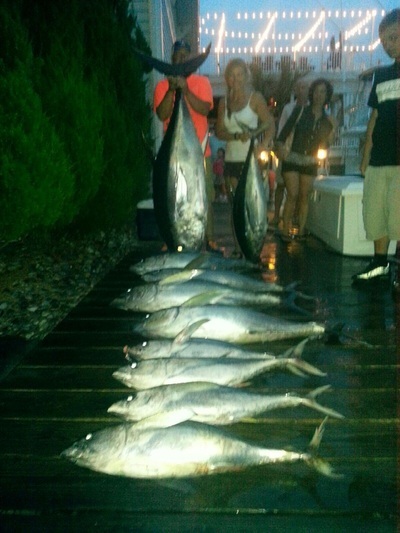 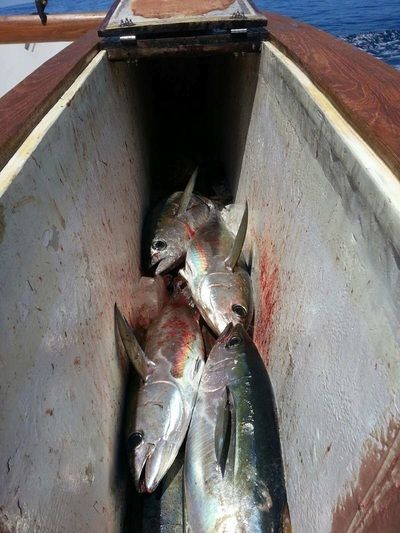 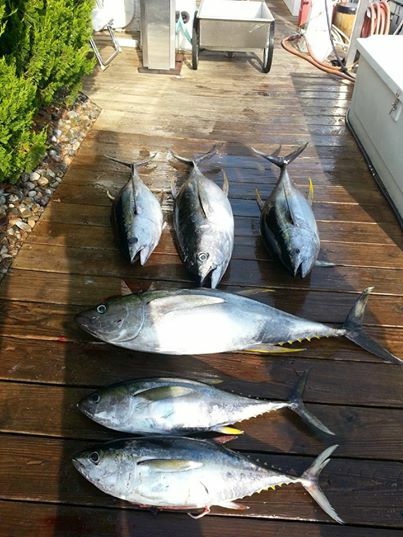 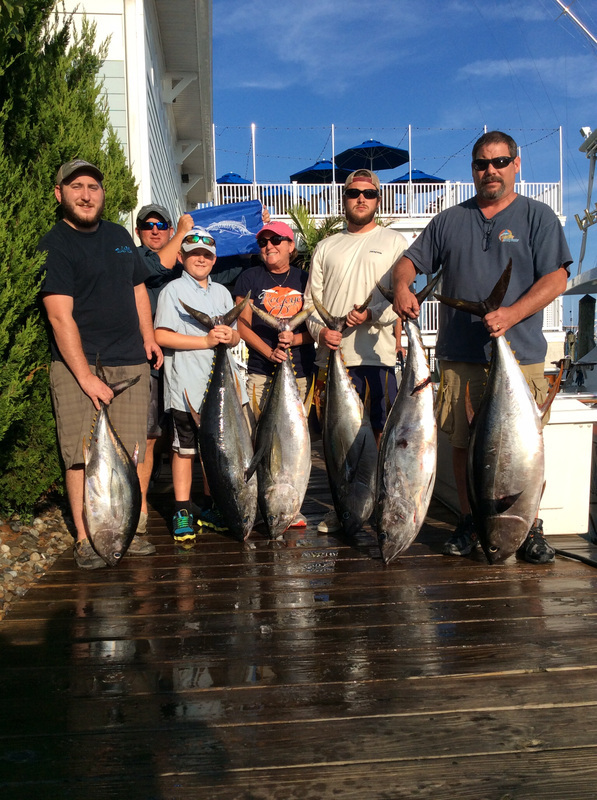 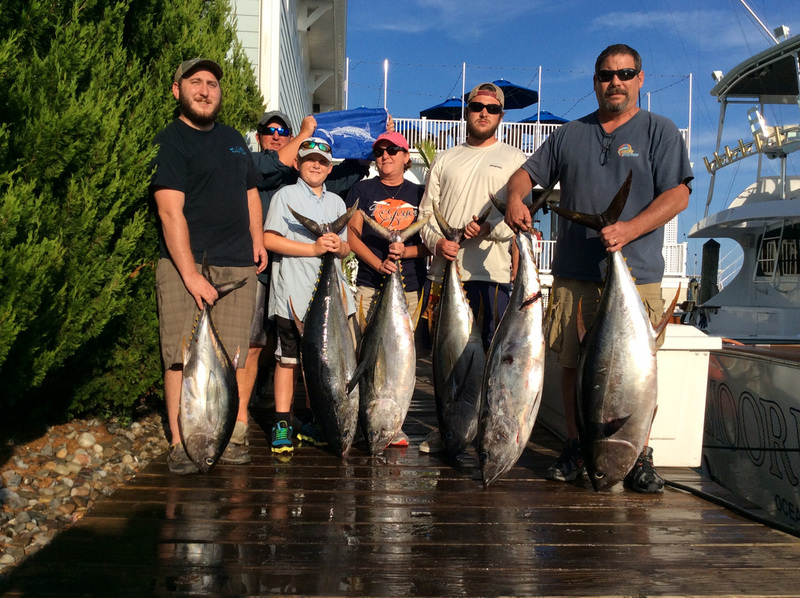 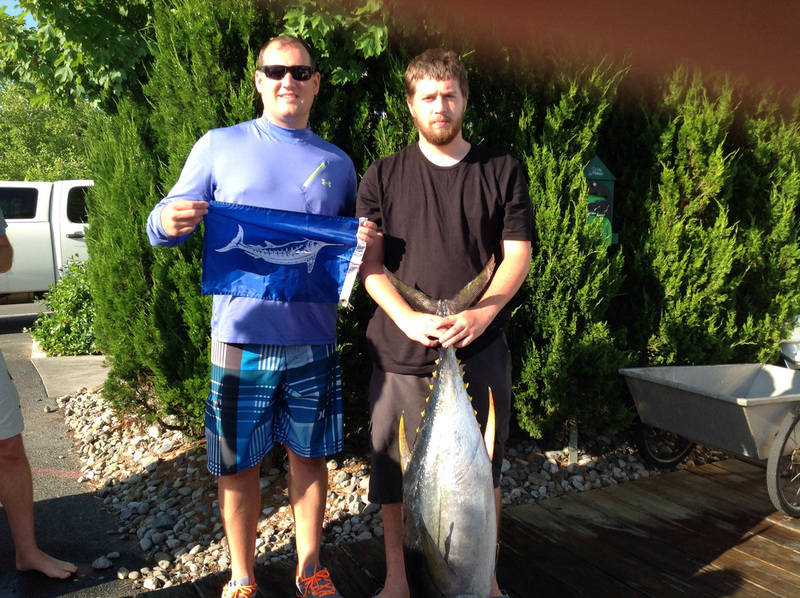 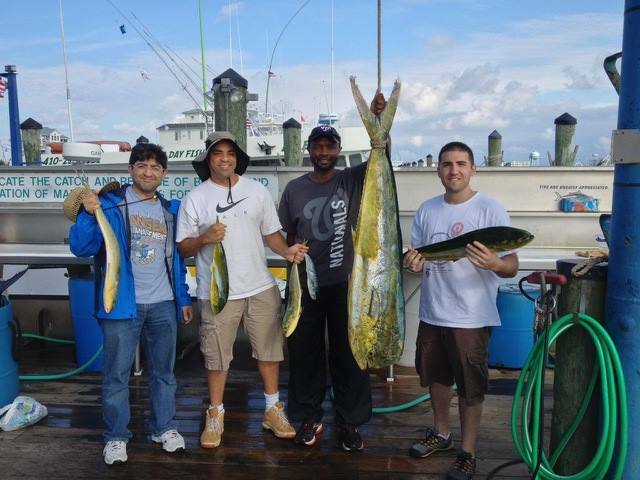 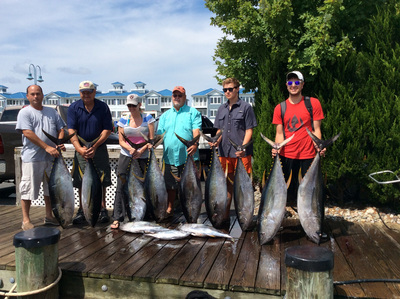 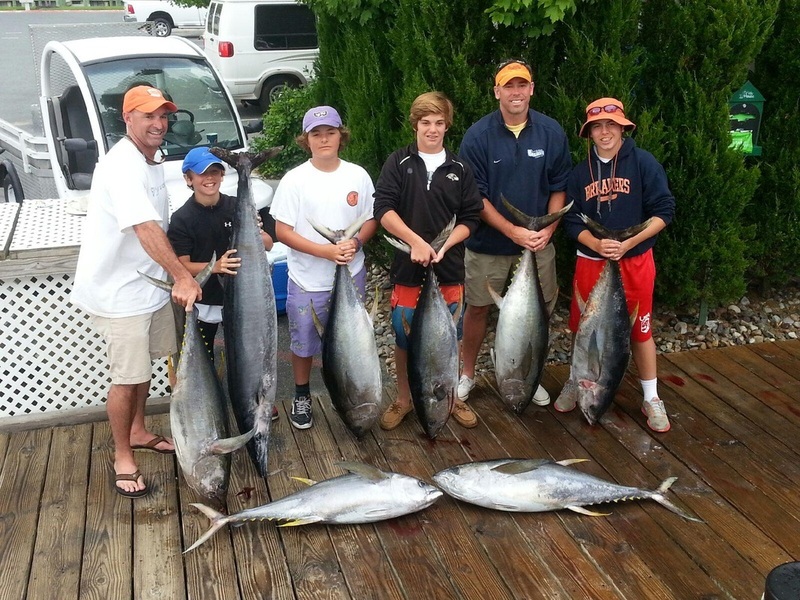 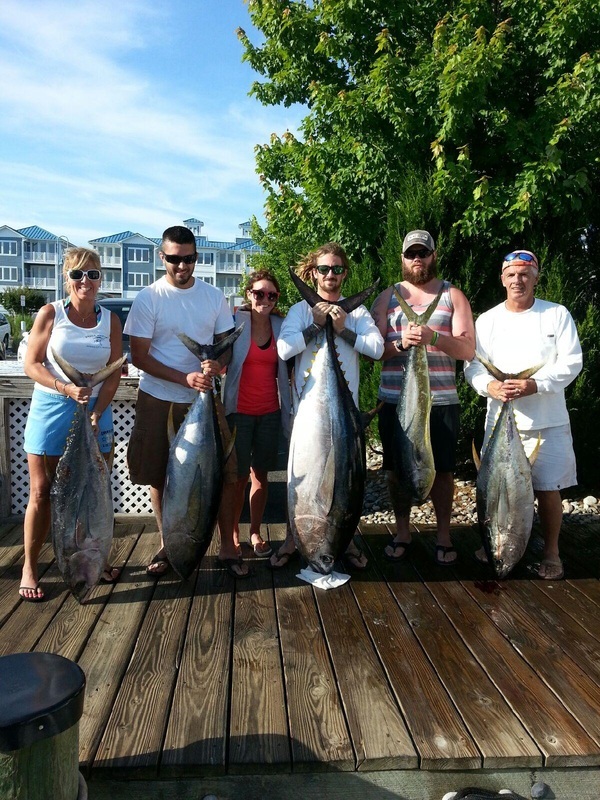 Ocean City offshore fishing report for the Moore Bills. 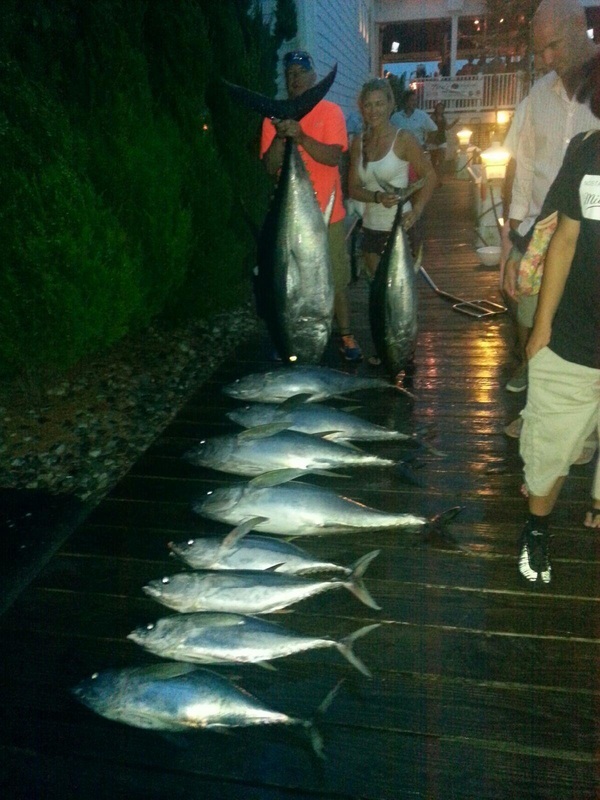 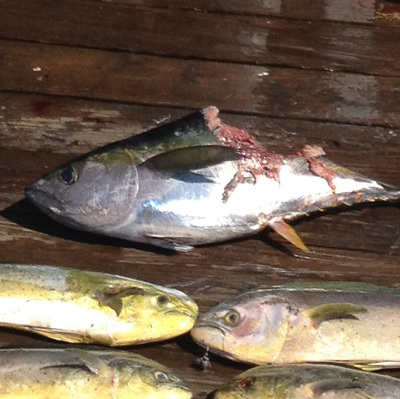 Caught 16 Yellowfin Tuna today and had 7 for dinner!! Beautiful day on the water in the Washington Canyon.